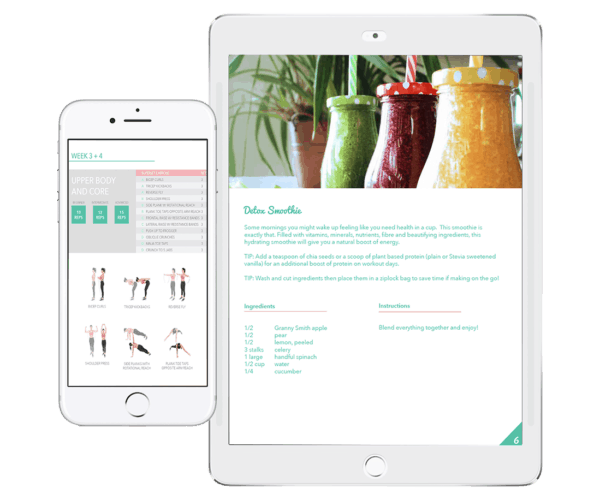 By purchasing this bundled program you are supplied with all the fundamentals, tools, and support you will need in reaching your health, nutrition and fitness goals. Out with the old, in with the new! Make way for the healthiest, happiest, most energetic version of you! I’d even go as far as planning yourself a little ‘new release’ party, but that’s just me! Body Confident Lifestyle program provides results while being educational, catering individual needs, and most importantly, fun. Because who wants to do all this work if it’s not fun? Not to mention, success rate triples when you’re enjoying yourself through the process! Follow up with Chara herself to offer additional support and answer any questions you may have during your health journey.